In the winter, it is normal to feel less inclined to go outdoor, but don’t let this keep you from partaking in your full-body workouts. Making sure you don’t miss out on regular exercise helps you lose weight in the winter and has even more benefits. Because exercising in winter is as essential as exercising during the rest of the year, it is important to continue your weight loss program in Canton, MA. As you work out, you will have more energy that you can use to get through the day. 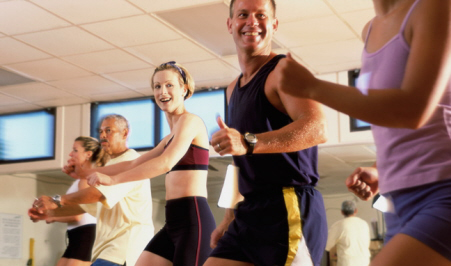 Your exercise programs will be strategically designed to be fun and exciting, even in the cold weather. In each session, you are constantly moving so your body will be warm and you mind will be invigorated. Working out during the winter helps you achieve your winter weight loss goals and brings other health benefits. Staying indoors, eating comfort food and sitting on the couch are not beneficial to your health or well-being. In fact, a sedentary lifestyle leaves you exposed to illnesses. Apart from developing an active mind and body, working out will also help you to alleviate symptoms of Seasonal Affective Disorder, or symptoms of melancholy on these cold, dark days. Because the needed nutrients and oxygen are optimally distributed throughout your body through exercise, your immune system will improve, keeping you from getting coughs and colds in winter. To find out more about full-body workouts that are perfect for winter, contact Answer is Fitness.